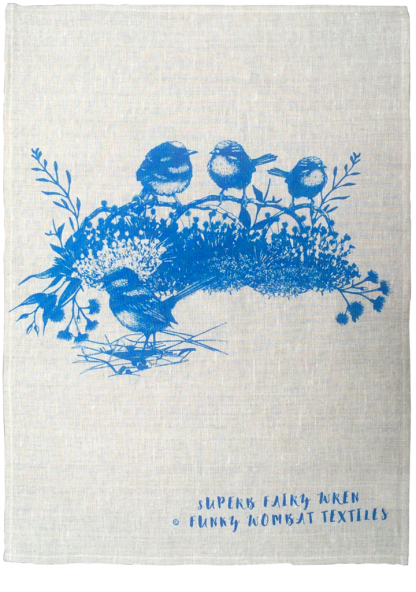 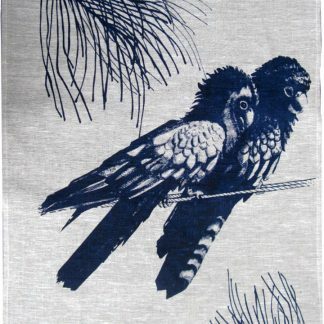 blue wren tea towel featuring a detailed illustration of the superb fairy wren. 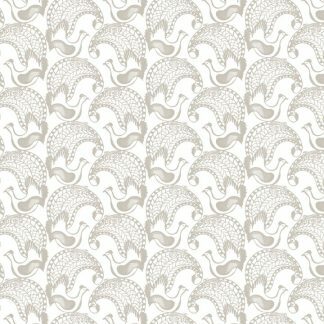 Tea towels make great gifts, can be used as intended or why not frame it for inexpensive wall art. 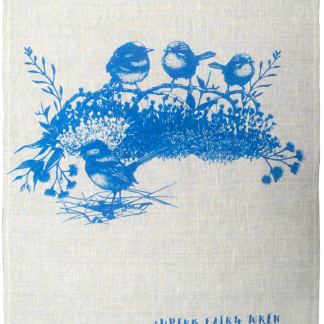 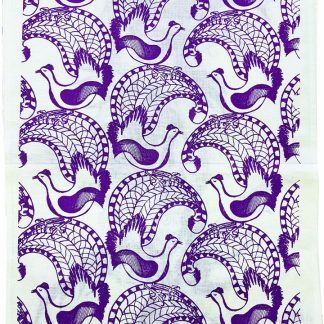 This tea-towel design features a detailed illustration of the superb fairy-wren also known as the superb blue-wren or colloquially as the blue wren. 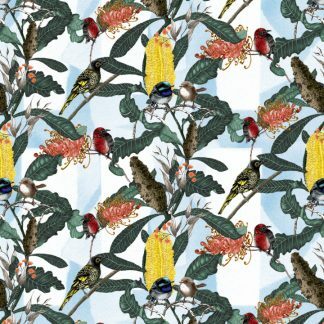 They are familiar and much loved tiny birds found commonly across south-eastern Australia. 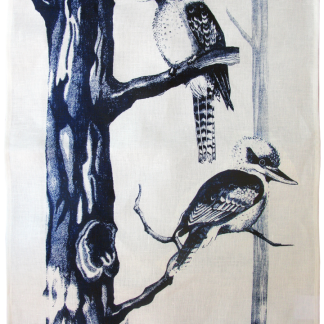 This tea towel has been hand screen printed from our studio in Canberra with a water-based pigment, the tea- towel is 100% natural linen, chosen for its highly absorbent qualities.